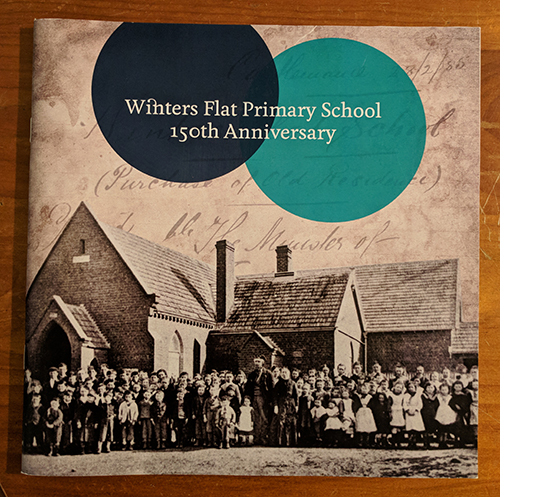 Winters Flat Primary School has a long history of connection with community, and it is something we are proud to continue. The idea for a school began in 1860, when local residents from what is now called Winters Flat, held a public meeting to discuss the need for a school in the area. The National School Board had visited the area late 1850s, and reported that there were not enough students to warrant a school, yet the local community disagreed. Without National School Board support, the community pulled together 50 pounds and established a school. By July that year, the National School Board revised their decision, granting aid to the school and appointing a teacher. The school was operating in a rented brick building with three rooms - one of which was allocated to living quarters for the teacher's family, a second which became the classroom, and a third which could double as both. With 57 children in attendance, the school was overcrowded and it was evident that a larger school was now a definite requirement for the area. By 1964, the school community started looking for a new location to house the growing student base, and on Saturday the 26th of September 1964, the new Winters Flat Primary School was opened on its current Roberts Avenue site. In 2010 - on the school's 150th anniversary - a new learning space complex was opened. Many past students returned for the event and the crowd was welcomed by representatives of the Jaara people. In 2018, the school again underwent a structural change to continue to meet the demands of a growing and evolving community environment. With a newly refurbished building, Winters Flat Primary School will continue to be an innovator in providing education for children of our community. *Copies are avilable from the school at a cost of $28.00.